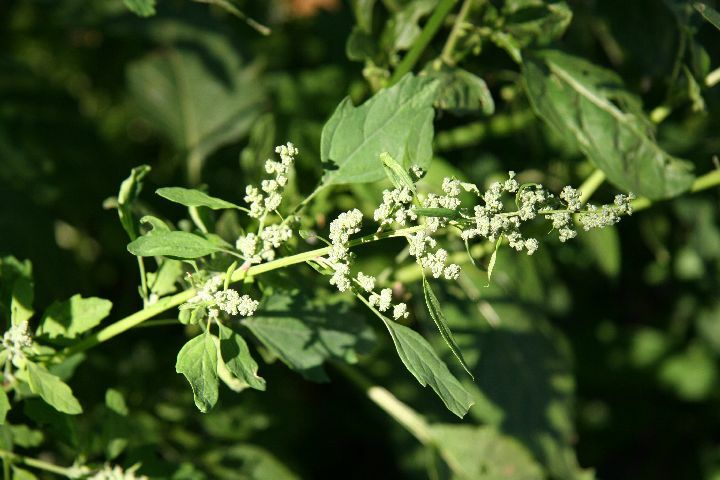 The drug is the dried entire herb of Chenopodium serotinum L. (family Chenopodiaceae), growing in fields, waste lands or roadsides; and distributed in almost all of China. Clear heat and eliminate dampness, relieve itch and promote eruption. Dysentery, diarrhea, cold due to wind-heat, decayed teeth for oral use; skin itch and measles without adequate eruption for external application. Decoct 9~15 g. Proper dosage is for external application, decocted for washing or pounded for applying.